The Port of Cromarty Firth's Invergordon service base. Major employers in the Highlands have called for local and national government to “grasp the opportunity” to make the Moray Firth a renewables hub. Firms including Port of Cromarty Firth and Global Energy Group want to build on the recent successes of contract awards for the Moray East and Beatrice (BOWL) windfarms to create a centre of excellence in renewables. It comes as the Highland Council will deliberate on plans for the 85-turbine Moray West windfarm this week, with planning officers claiming the site is “damaging” to north-east sea views. Ultimately, the planning decision will be made by Marine Scotland, based on the local authority’s advice. The Port and nearby businesses said these projects must not be delayed and “time is of the essence”. Global Energy Group owns the Nigg Energy Park and is the area’s largest private employer. Chairman Roy MacGregor said: “Our work in the BOWL project confirms there are good quality jobs with people coming into the area, spending money and everyone benefiting from this. “It is vital this momentum is continued as it sends a clear message confirming the local supply chain having the commitment, skills and facilities to deliver on these large-scale projects. PSG Marine and Logistics and Caledonian Towage have also added to the calls to bring a centre of excellence, which is expected to bring jobs and economic security “for decades”. 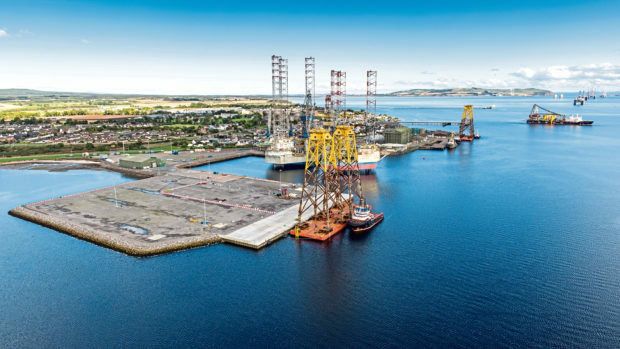 Port of Cromarty Firth chief executive Bob Buskie said: “The renewables hub is a fantastic opportunity for the public and private sector to work together and create a centre of excellence for the benefit of local people.